As a young boy, I was always drawn to art. Be that playing with clay, street theatre, painting, or making my own toys for entertainment. As time passed, my dream was to become a pilot, and I loved making airplanes out of wood, which I painted, and assembling kites with rice paper and wood. I was self-dependent for entertainment. At school, I loved writing stories and poetry, and playing soccer. At the age of 17, I decided that a pilot was not what I wanted to be. I needed to choose a path for my life. Expressing myself was, and still is an important part of my personality. Architecture maybe, I thought. However, my friends insisted that I should attend art school. 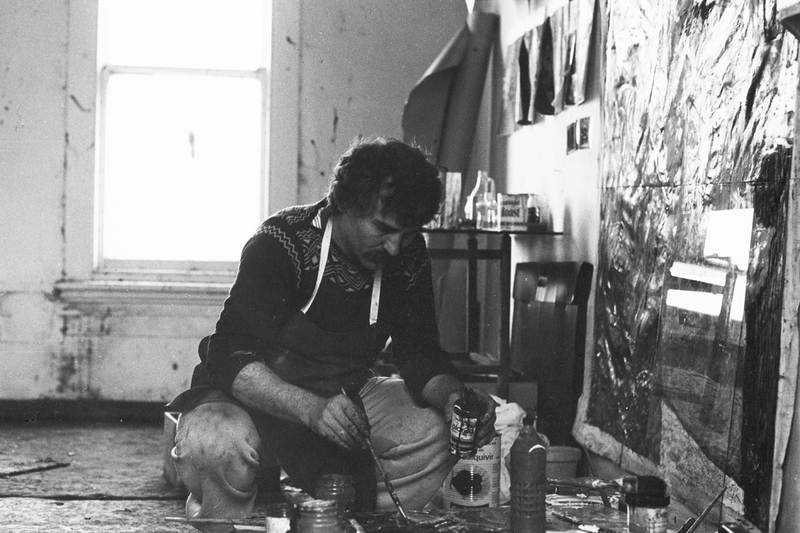 It was in 1973 at RMIT in Melbourne that I undertook a sculpture course, where I studied under Ernesto Murgo, Vincent Jomantas, Les Kosaks, Inga King, George Baldessin, and so on. The first year saw me produce the largest folio in the class. That is how I got offered to study for Bachelor of Art. I made a promise to myself to be the best student in the class, which eventually took place attending the second Bachelor of Art in painting (only third year was required). My tutor back then was Jim Meldrum, and the lecturers included Andrew Sibly, Ron Miller,and Peter Clark. My external assessor was John Olsen. As a result of attempting to be the best, I received the Paris Prize, which took me to study for a year at Ecole Nationale Superierre des Beaux Artes in Paris. Before undertaking study in Paris, I completed a post graduate diploma in painting at RMIT in 1981. In Paris, I spent many many hours in Louvre and Modern Museum, face to face with European antiquity and modern masters. I believe that art is a very important part of society, and Paris, Milan, Florence, Rome, Madrid, Barcelona, Amsterdam, Berlin have reinforced that belief. I am glad that I went to art schools in the 70s and 80s. Those were formative years of expressing myself using different mediums. Creating sculptures, drawings, and paintings, I am always in search of a perfect way of expression with different mediums and subject matters. My approach to painting, sculpture, and anything else so far has developed on an instinctive action. My motto is "if it feels right, it will always look right". My work must project just as much spirit as of much technical skill. In the process of participation I am never still. Like a child, I am not afraid to venture in any direction. Be that colour, line, or form. It is art of participation, not making of art. On my return to Melbourne in 1982, I was employed by Craft Council of Victoria as a field officer, where I met many crafts people and helped them organize their submission for grants and exhibitions. In 1983, I was appointed as a lecturer in drawing at Ballarat College of Advanced Education. To my astonishment, all the students from the first to third year had a same style of drawing. What a challenge it was to introduce individual ways of seeing, thinking, and drawing. After three months, I succeeded in making them understand that they were individuals and self-expression was relevant in creativity. In 1984, I went to Warrnambool Institute of Advanced Education, where I was in charge of the painting department. There are students from those days who still paint, and believe that what they are doing is worth doing. "Purple figure" Digital computer image. In 1986, with the birth of my daughter, my energy was bountiful. I produced eighty paintings in three months prior to opening a bar and bistro in Melbourne. During those three months, the paintings had a flow. When it didn't, it was not the painting, it was my expectation. Execution always required my positive action. In 1996, I produced several images on the computer. It was a challenge to express my ideas electronically. Most of the images ended up being figurative. In 2008, I decided to travel on the East Coast of the country. It was on this trip that I returned to the basics of dealing with the landscapes, which I often do when I run out of ideas or I am confronted with new ideas. I produced many small gouache works on paper. Each site was a new challenge and excitement. The vast continent of wonderful landscape had lots to offer. In a year, I produced over three hundred small gouache paintings. It was a new start. It was like warming up and learning as well. Those works are totally different from my studio works, where I am considered to be an abstract expressionist. 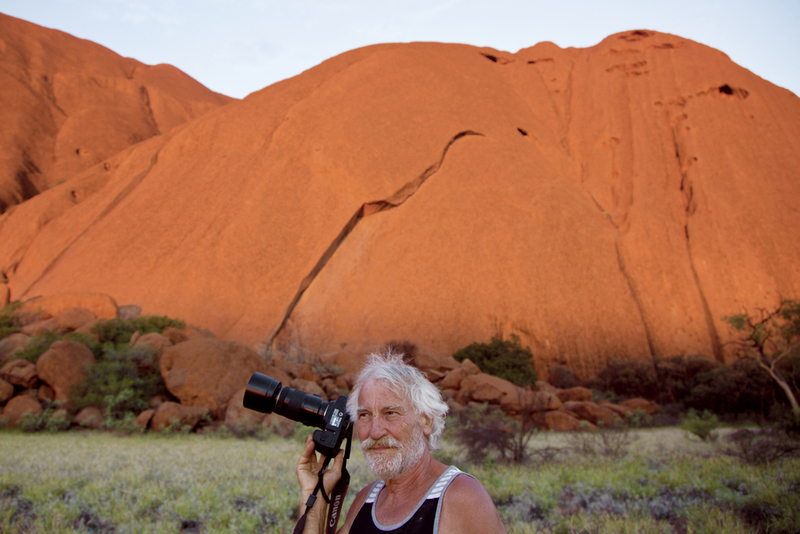 In 2011, I headed off to the enchanting centre of Australia (Red Centre). It was Alice Springs and surrounding areas, including Uluru, Olgas, and West and East MacDonnel Ranges, where I began to see the colours and beauty of the country. It was spiritually uplifting and cohesive. In Alice Springs, I came across Indigenous people, their artworks and culture. I can say that they have an advantage interpreting their dreamtime stories from ancestry. We Westerners have to invent a story from consumerism, politics, literature, film, theatre, or people. It is central Australia I was fully engrossed in fauna and flora, the desert's sand colour, rock formations, footprints of animals, and prints of nature. All in all, it was an experience that will make me fill the empty surface of canvases until they become alive, representing my feelings, thoughts, and perception of the world I have explored. I believe that it is not what I place on the canvas with a brush and colours, but it is what image I leave on there that is most important. Click here for exhibition listings.